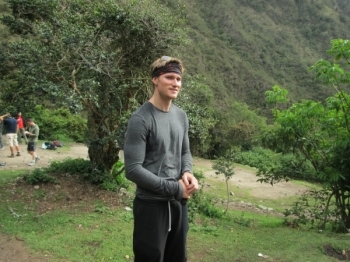 I really enjoyed the hike and everything I learned along the way. The guides were fun and we had a great group. Everything was very interesting and fun. Marco and Victor were great always accommodating our needs. 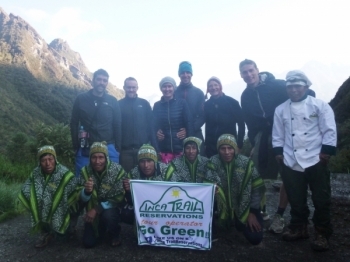 The cooks and porters were such an important part of the trip, and the food was very good. It was a journey of a lifetime and not for the faint of heart. Fantastic, beautiful scenery. 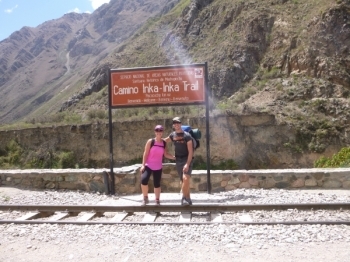 The Inca trail hike makes a person appreciate much more the Machu Pichu experience so much more meaningful. 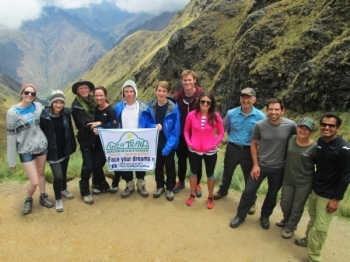 It was a very fun and exciting adventure to Machu Picchu. I learned a lot about the Inca people. 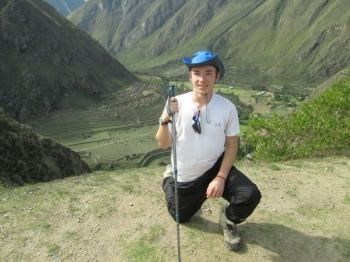 I had a great time on this trek. 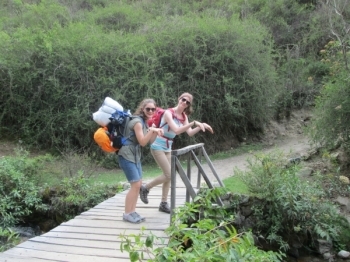 The tour guides were knowledgeable and encouraging, and the trek well planned. 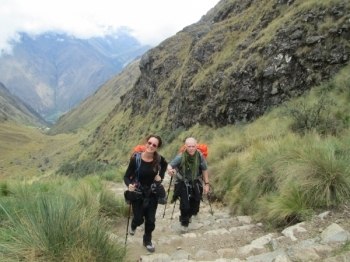 This was our second trip touring on the inca trail to Machu Picchu, our first was a private tour in 2012 and it was an amazing and life transforming experience. 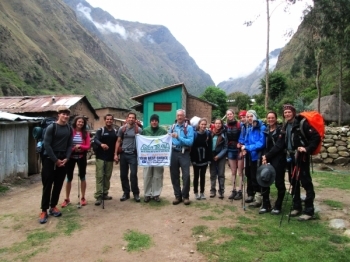 This was our second trip to Machu Picchu on the inca trail and we had a completely different and amazing experience. The trek was definitely challenging, at times on the second day I thought why am I here, but the ruins along the way, the scenery, the group we were with and the guides kept me going!. This trip was everything I hoped for. The views were spectacular and the trek itself was challenging yet enjoyable. Guides were helpful, encouraging and full of interesting information! Tough work, but worth it. I had the best time on the hike. 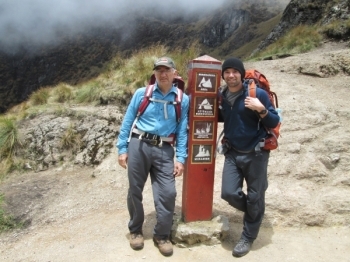 I felt very comfortable with the guides and they did an exceptional job! The sights were beautiful and the whole trip was wonderful!. 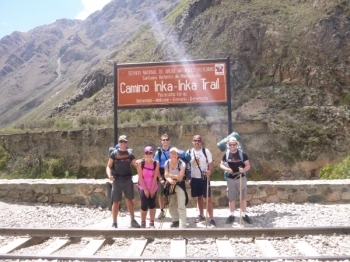 I would highly recommend inca trail reservations for the inca trail. 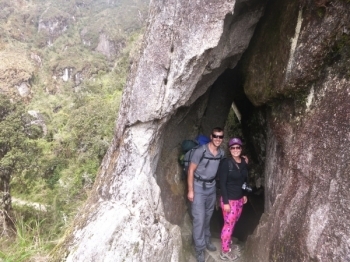 I went on the 4 day, 3 night tour with my husband and it was all we imagined and more. The staff were all very friendly and helpful. 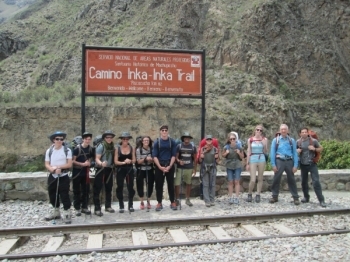 Inca Trail Reservations was a fantastic company to do the inca trail with.The trail itself was tough at times but the company provided excellent facilities all the way. 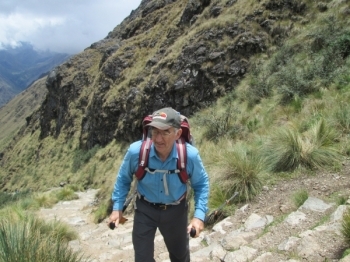 I booked my Inca trail with Inca Trail Reservations. We had a trek of 4 days and 3 nights. We had a great few days with a small group of 6. The trek was great fun. 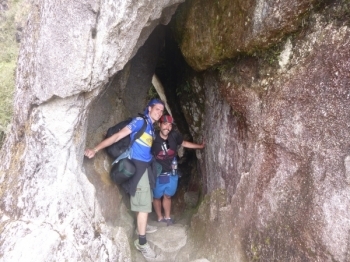 It was very tough walking but very Enjoyable. The food was great, the tour guide was great and had very good English to explain everything.